No area of history is as popular in historical fiction and film as the Second World War. Oddly, it’s one I don’t read a lot about anymore, maybe because of overload when I was younger. I mean, I get it…Nazis = bad, battles in the South Pacific were brutal, and I’ve seen all the Holocaust movies I ever need to see to get the point…. yet occasionally you get a new story, one you didn’t already know. 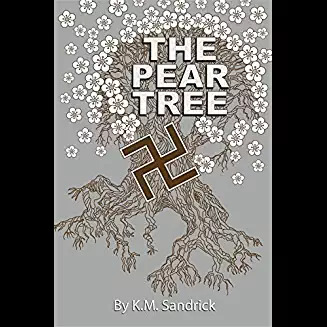 Such is the case with The Pear Tree, from fellow Chicago writer Karen (K M) Sandrick. 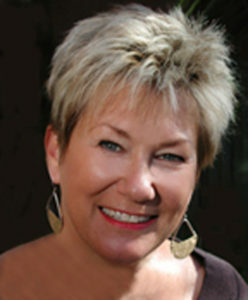 I am a long-time freelance journalist who specializes in clinical medicine, hospital finance and governance. 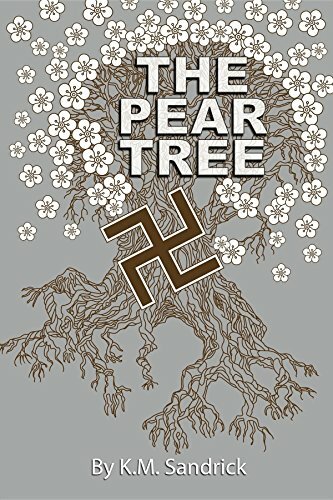 The Pear Tree is my first attempt at fiction. You may wonder how it all came about; glad you asked. With a degree and background in science, I have had little education in some of the fun stuff, like literature, and drama, and music. Even history got short-shrift. The only class I had as an undergrad, for example, was The History of Western Civilization—in two semesters. So I have been filling in the blanks with continuing education courses at local universities. One class in a course on WW II on the Eastern Front began by recounting the story of the Anthropoid operation (depicted in the recent movie Anthropoid editorial note: least appealing movie title ever) and then described the Nazis’ retaliation against the Czech people. That same evening at a free-form writing seminar (I have a lot of blanks to fill), the story began taking shape in my notebook. I have to say that it just grabbed onto me and wouldn’t let me go until it was told. What’s The Pear Tree about? It is a tale about a largely forgotten incident in WW II–the total destruction of the small Czech town of Lidice in retribution for the assassination of the head of Nazi-occupied Czechoslovakia by Czech partisans. 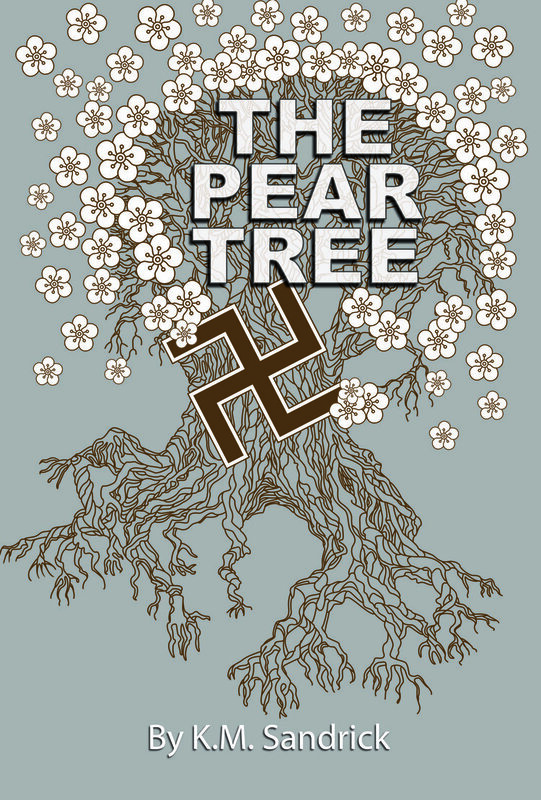 The Pear Tree begins on the day Reinhard Heydrich was attacked by Czech partisans. It describes the investigation that leads the Gestapo to Lidice, the destruction of the town, the interrogation of its women and children, and the forced separation of mothers from their infants, sons from their mothers, friends from friends. The book follows the paths of characters who wrestle with fear that they will never see their families again, that their secrets will be revealed, that they will never learn the truth. It’s a fascinating…and horrible… story. What is it that fascinated you about it? The enormity of the Nazi response and, in the end, its failure. Though there is almost no link between the townspeople and the assassination, all its men are killed onsite. All its women are taken away, killed or sent to forced labor or prostitution. Children are divided by their racial characteristics and either sent to gas vans or adoption by German families. The buildings of the town are razed, their bricks and stones carted away. The farms are plowed under, unsuitable “Czech dirt” is replaced by rich German soil. The objective is to leave no indication that the town ever existed. Overlooked is a pear tree sapling whose top branches have been blown away but whose trunk remains. The book tells of the importance of the only living reminder of Lidice to two main characters: a young woman who mourns the loss of her son and a thirteen-year-old boy who confronts Gestapo in search of his mother. Without giving away spoilers, what is your favorite scene? After liberation of Eastern Europe by the Soviets, two characters from the town of Lidice meet in a displaced persons camp and begin a friendship. The woman is housed in the camp after being rescued from years in forced labor and learning that her son had been killed by Nazis. The teenage boy comes to the camp in search of his mother. The two begin a friendship: the woman tells the boy stories about what she remembers of his mother’s younger days; the boy brings the woman treats he smuggles from outside the camp. The day before he leaves for Prague to continue the search for his mother, he brings the women one last gift: a crochet hook so she can stitch together patterns from the coils of threads she collects from her own clothing and the garments she resizes for other people in the camp. It’s a small scene but it reflects the resilience of the human spirit, the theme I hope the book conveys. There’s a continual argument in histfic circles around what, exactly, qualifies as “historical fiction.” Some say 50 years, others 30. At the risk of feeling ancient, I think history is anything more than a generation ago, particularly if historical events dictate the story. That means my high school and college years are, literally, history. (Besides this is my blog, and it is what I say it is.) 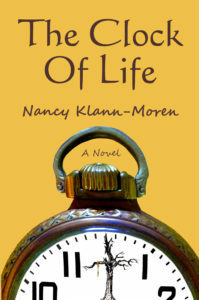 That brings us to Nancy Klann-Moren and her book, The Clock of Life. It starts in the 80s, but also goes back to Vietnam and the Civil Rights Era, and if that ain’t history, i’m not sure what is. My writing journey began as a creative outlet on long plane rides, for work. 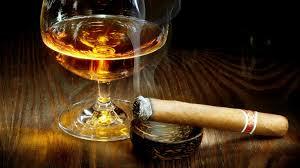 I dabbled in short fiction. Eleven are published in the Short Story collection, Like The Flies On The Patio. One morning while in a workshop at The Santa Barbara Writers Conference, I read an excerpt from a work-in-progress. When finished, the instructor said, “What you have written isn’t a short story, it’s a novel.” My first inclination was to reject his suggestion―but, soon realized the seed he’d planted was ready to sprout. My strong beliefs about the subject matter compelled me to write The Clock Of Life. The novel has garnered awards from Writers Digest, Next Generation Indie Book Awards, Readers Favorite Book Awards, Kindle Book Awards. 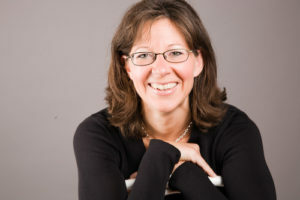 It’s a BRAG Honoree, and an Awesome Indies AIA Recipient. So what’s the “nutshell” version of The Clock of Life? The Clock of Life is the coming-of-age story of young Jason Lee as he discovers his family’s history and that of those surrounding him. It takes place in a small Southern town during the 1980’s where the old, unyielding attitudes about race persist, and where he must navigate this communal mindset while his friendship with his best pal, a black boy named Samson Johnson, deepens. Even though he never knew the man, Jason Lee’s father had been involved in the Civil Rights Movement, and was killed fighting in Vietnam. Those two important times in our recent history are woven through the story, amplifying their effect on the fate of a family, a town, and two boyhood friends. Beyond the themes of inequality, grief, and a passion for justice, Jason Lee finds the courage to stand up for what he believes is right, just because it’s right. What is it about that time period that speaks to you and makes you want to write about it? The idea of human inequality and how it comes to be has always baffled me, so the foundation for the book is more emotional than cerebral. I’m in awe of the heroism it took to bring equal rights for Blacks to the forefront. Then there was the political fiasco of the Vietnam War, the human tragedy of how our soldiers were treated when they returned home, and the 58,000 young men killed for what? In the past fifty years, the Vietnam War and the Civil Rights Movement were our greatest catalysts for social protest. Which I guess answers the question about whether it’s “historical” or not. The past continues to ripple through the present. Without giving away spoilers, what’s your favorite scene in the book? I especially liked the welcoming atmosphere in the local hardware store, where the tang of WD-40 greets you at the door. Where a sign above the old grocery scale reads, “Honor system. Weigh and leave money in the box,” and where Jason Lee uses Pepsi and Nehi bottle caps as checker and sits on a milk stool to play on a faded board fastened to two sawhorses. During these visits Wally, his father’s best friend, regales Jason Lee with stories of some of his dad’s past escapades. Where can we learn more about you and The Clock of Life? Okay, Chrystyna, what’s your story? I’m an American ex-pat living out her Grizzly Adams dream in the Austrian Alps. I don’t have a bear, but I do have a dog, a cat, a whole hell of a lot of fat chickadees and a very mild-mannered husband with whom I laugh every day. I grew up in Minneapolis, Minnesota, attended Rocky Mountain College in Billings, Montana and studied to become a veterinarian. Then an English professor rescued me. Or brought you over to the dark side, depending on your outlook, I suppose. In a nutshell, what’s the book–and the series–about? 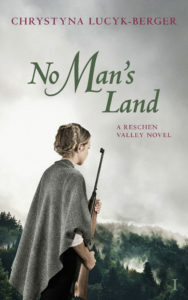 No Man’s Land is the first in the Reschen Valley series, with five parts spanning from 1920–1950. 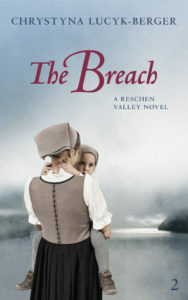 The Breach, which is part 2, releases March 15th and is on preorder now. The series take place in South Tyrol, just located south of the Austrian border. In the first part, we are introduced to Katharina Thaler, a Tyrolean farmer whose only remaining family is her grandfather. While out hunting, Katharina stumbles on an Italian engineer who’s been stabbed and left to die on her mountain. Saving Angelo Grimani’s life thrusts both of them into a labyrinth of corruption, greed and prejudice as Katharina is caught between the Tyroleans who are trying to stop the annexation to Italy and the growing Fascist powers that need their land to produce electricity. What is it about that time period or this particular story that attracted you? You have to imagine driving south from Austria over the Reschen Pass in the Alps and then crossing the border into Italy. The first thing you expect are pizza and pasta stations, Italian signs, and Italian architecture. But that’s not what happens. It still looks like Tyrol with a few Italian names. In fact, everything is still in German and in Italian and everyone speaks German. Then it comes: spreading out before you, an unbelievably beautiful lake some 4 miles long and nestled in the alps. The sight takes your breath away. You pass the first town and quickly come upon the next one called Graun / Curon Venosta. And then there it is. Off to the right, some 100 meters from the lakeshore, is a fully intact medieval church tower sticking straight out of the water. My first reaction was, “What the hell happened here?” It took me ten years, and loads of building up my German language skills to find out. When I did, I was horrified that we never learned about this part of history. The Tyrolean-Italian conflict was a huge deal! And the pain of that history is still there, just under the skin, hot as embers and as volatile as gunpowder. Without spoiling surprises, what’s your favorite scene in No Man’s Land? I did not despair. On the contrary, I was really glad she said something, because in all these years of writing Katharina, I was frustrated and disappointed with her development. I’ve got a female character trapped in a day and age where she just cannot be emancipated. On the contrary, her choices make her want to blend in as much as possible and it was ticking me off that she was fading into the background. After I hung up with the editor and as I was driving to my other job, it hit me like lightening. It was there, I realized. I just had to make it explicit. I knew what Katharina wanted and the threads were all there, I just had to pull them forward. The new Chapter 10 managed to solidify that for me and I was able to pull her back in with great strength. You will find me on Goodreads a lot (Chrystyna Lucyk-Berger). I’m doing a Kindle giveaway of No Man’s Land until the 24th of February. 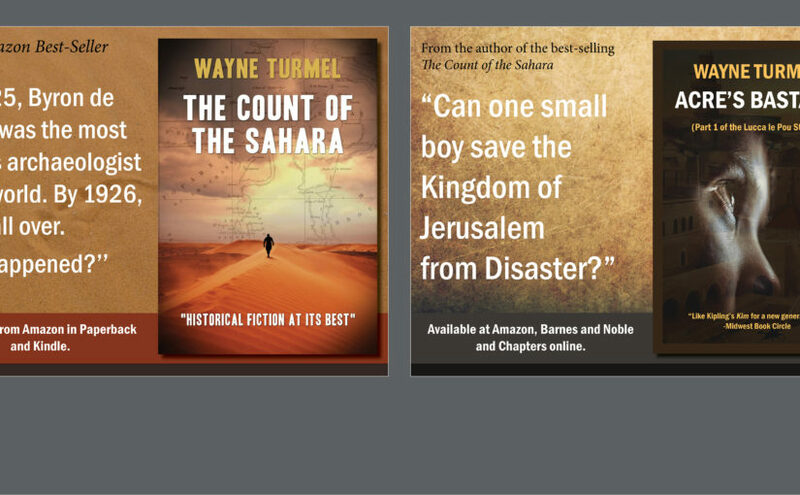 If you sign up for my newsletter, you’ll get the notices of the free Kindle version planned five times between now and April. They’ll only run for 24 hours each time. 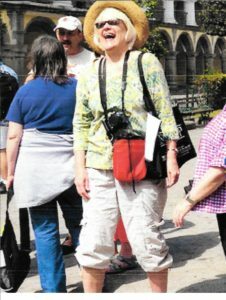 You can sign up on my webpage at www.inktreks.com. Part 2, The Breach, is on preorder with a March 15th release date.